WKC member FedEx is the mastermind behind this beast. Perfect for days at the beach, cabin, or on the trails. 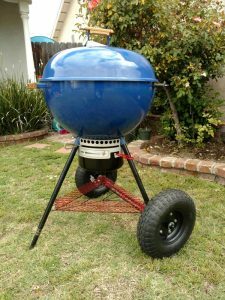 FedEx used parts from Home Depot and Harbor Freight to convert his Blue Weber Mastertouch into an off-road grilling machine. 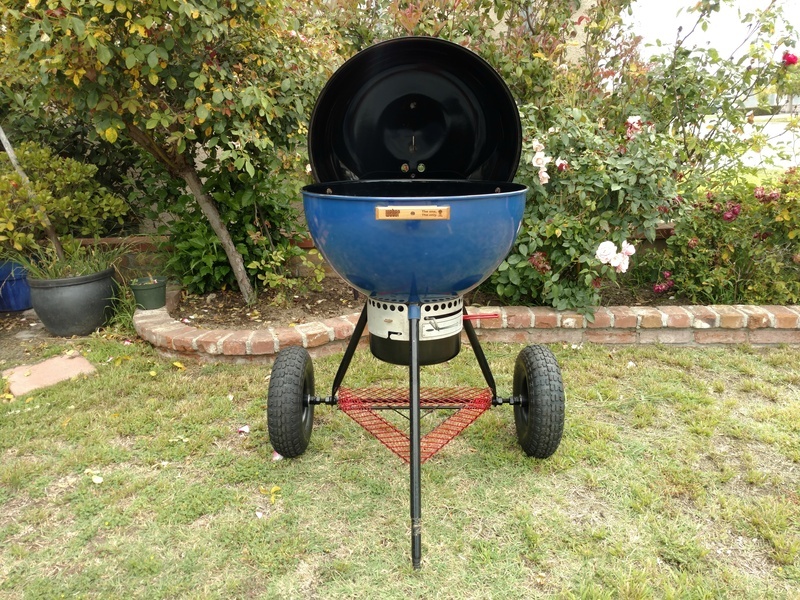 Bob even added an expanded metal support cage around the triangle for improved holding and rigidness. If you would like to submit your grill to the WKC grill gallery, email gallery@weberkettleclub.com! Thanks Troy and John. 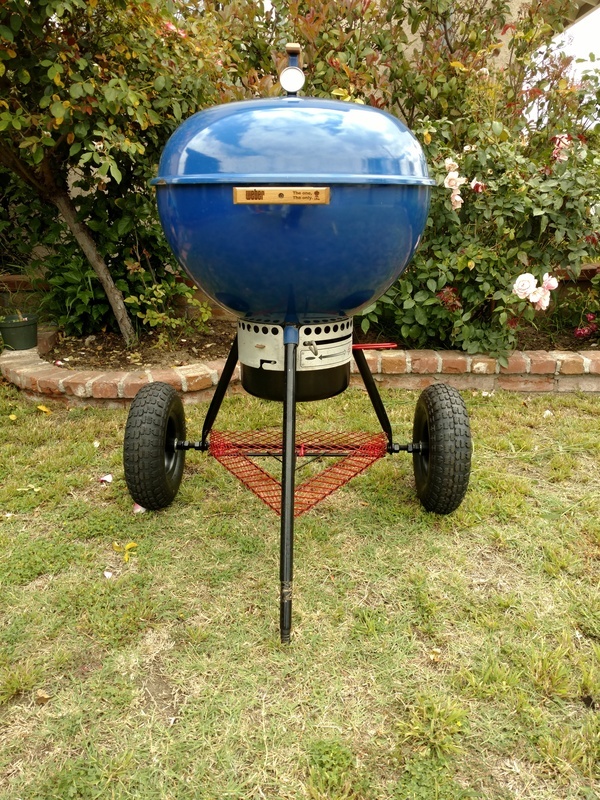 Fun, Easy and cheap project. I think the 26″ is going to get lifted next. 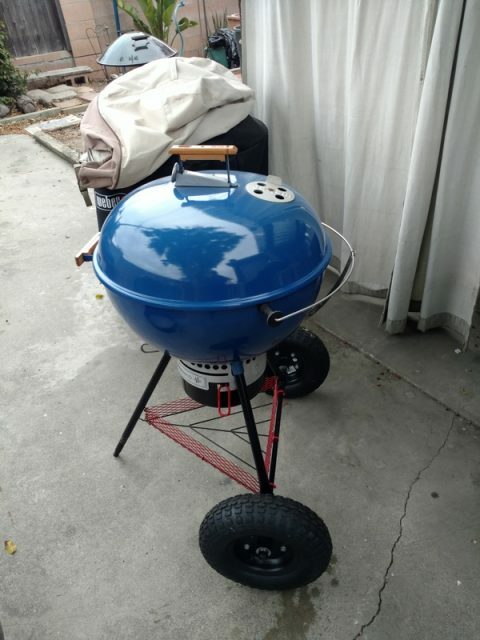 It would look better in red ! Great question, Jam. Definitely worth pondering. Or is it a statement? Always speaking in riddles, aren’t you Jam. 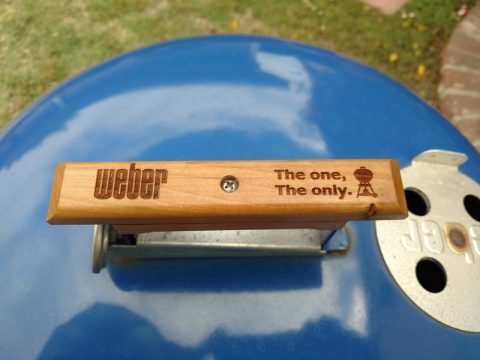 Can you tell me where you got the wooden Weber handles, I need to get some for my baby.